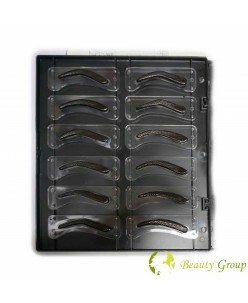 CC Brow stencil set (6pcs).. 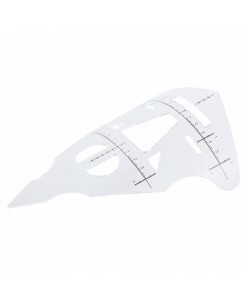 Sticker ruler to build the shape of the eyebrows. 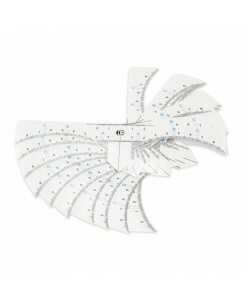 Disposable - 10 pieces / pack.Method of application: using a pencil, mark the center point between the eyebrows. Approximate linear height above the growth field, so that the number 0 corresponds to the point denoting the center. Mark the border Constructing the shape of the eyeb.. The search for symmetry when creating eyebrows is a difficult stage. To facilitate it, the master of permanent makeup and browits use a line for eyebrows. It helps to create the right shape, avoid asymmetry and save time. 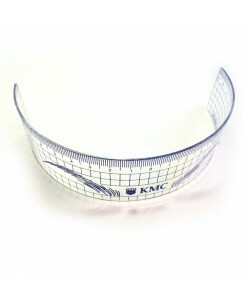 The adhesive tape with a digital scale is made of flexible plastic. 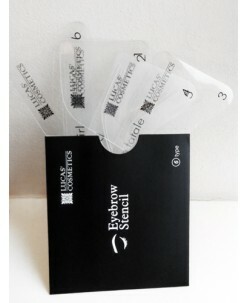 It is easy to glue, does not irritate th..
Eyebrow Balance Ruler - Form 1pcs. 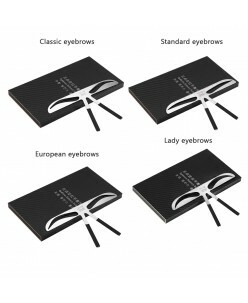 Description: This product is specifically designed for straight line eyebrow,natural eyebrow or lady eyebrow. Three-point positioning design and the scale can help you solve the problem of eyebrow asymmetry and draw perfect eyebrow. 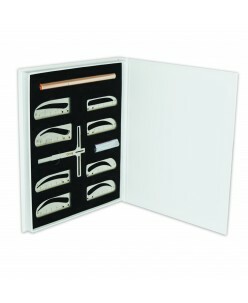 And it can fit a variety of face, suitable for everyone.Features: 1. Specifically desig.. 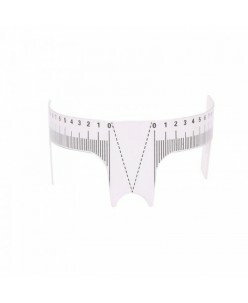 Description:This is a professional ruler designed for tattooist, also can be used on makeup to ensure eyebrows, eyeliner and lip are symmetrical accurate. 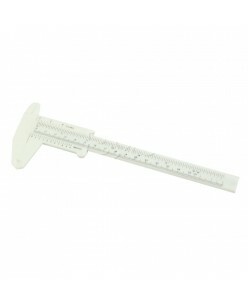 High quality makes it reusable and durable.Features:Help tattooists measure and locate eyebrows. 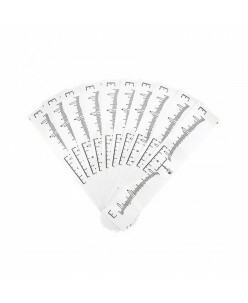 Ideal to ensure eyebrows, eyeliner and lip are symmetrical accurate when ..
Eyebrow stamps (12 forms) .. Features: 1.Adopting high quality non-toxic material, this will be safe to skin and durable to use. 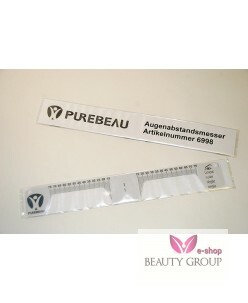 2.Eyebrows ruler can be based on person's face to bend, in order to achieve the perfect fit the needs of the face. 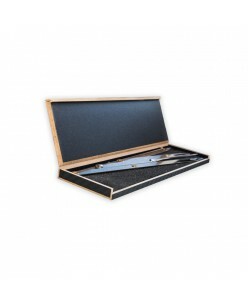 3.Help to accurately position in eyebrow shaping and get a pair of symmetrical satisfaction brows.&n..
Eyebrow's ruler with caliper ..
Forms SET for lips ..
Gabry eyebrow design shapes .. 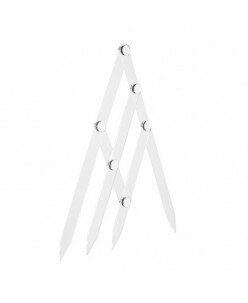 Stylish, Flexible, easy to useStainless steel Microblading divider for perfect eyebrow shapeThe Caliper tool for eyebrow shaping is used to determine the correct proportions of the eyebrows and face.So, using it, the face gains correct symmetry and balance, while the eyebrows gain their function.It is a magic tool used for PMU a..